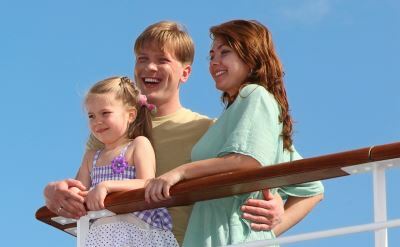 5-day cruises out of Tampa Florida are available all year. Sailings are offered on Carnival Cruise Line and Royal Caribbean. See the full list of departures below. 5-night itineraries go to Cozumel, Cuba, the Cayman Islands or Key West. Cozumel is very much a party destination, although active sports such as snorkeling are popular and excursions to Mayan ruins are too. 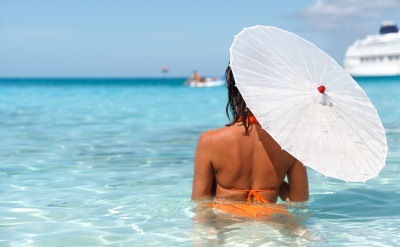 Grand Cayman island is known for diving and a relaxed pace. Key West is the southernmost point in the United States. There are also 3-day cruises and 4-day cruises leaving from Tampa. 5-day cruises on Carnival Cruise Line. Round-trip from Tampa to Havana (Cuba) and Cozumel (Mexico). • 2019 departures: May 11; August 31; November 9; December 7. 5-day cruises on Carnival Cruise Line. Round-trip from Tampa to Key West (Florida) and Havana (Cuba). • 2019 departures: April 13, 27; May 25; June 22; July 6; August 3, 17; September 14, 28; October 26; November 18. 5-day cruises on Carnival Cruise Line. Round-trip from Tampa to Key West (Florida), Havana (Cuba) and Cozumel (Mexico). • 2019 departures: April 8; June 8; July 20; October 12. 5-day cruises on Carnival Cruise Line. Round-trip from Tampa to Grand Cayman (Cayman Islands) and Cozumel (Mexico). • 2019 departures: April 22; May 6, 20; June 3, 17; July 1, 15, 29; August 12, 26; September 9, 23; October 7, 21; November 4, 23; December 2, 16, 21, 30. 5-night cruises on Royal Caribbean. Round-trip from Tampa to Key West (Florida) and Cozumel (Mexico). • 2019 departures: April 1, 15, 29; November 25; December 23. 5-night cruises on Royal Caribbean. Round-trip from Tampa to Grand Cayman (Cayman Islands) and Cozumel (Mexico). • 2019 departures: April 6, 20; December 14, 28. 5-day cruises on Carnival Cruise Line. Round-trip from Tampa to Key West (Florida) and Havana (Cuba)(overnight). • 2020 departures: May 9, 18; June 1, 20; July 4, 13; August 1, 24; September 12, 21; October 5, 24; November 2, 21; December 28. • 2020 departures: January 4, 13, 18, 27; February 1, 10, 15, 24, 29; March 9, 14, 23, 28; April 6, 11, 20, 25; May 4; June 6, 15, 29; July 27; August 10, 15; September 7, 26; October 19; November 16, 30; December 14, 19. 5-day cruises on Carnival Cruise Line. Round-trip from Tampa to Mahogany Bay (Honduras) and Cozumel (Mexico). • 2020 departures: May 23; July 18; August 29; October 10; November 7; December 5. • 2020 departures: January 6, 20; February 3; March 2, 16, 30; April 13, 27. • 2020 departures: January 11, 25; February 8, 22; March 7, 21; April 4, 18; November 14, 28; December 12, 26. 5-night cruises on Royal Caribbean. Round-trip from Tampa to Costa Maya (Mexico) and Cozumel (Mexico). • 2020 departures: November 9, 23; December 7, 21.